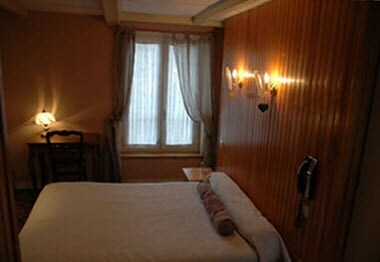 The charming Auberge Hotel from 1715 is located at the entrance of Honfleur, 800 meters from the old harbor. The hotel has 16 rooms and 4 studios with kitchen and patio. 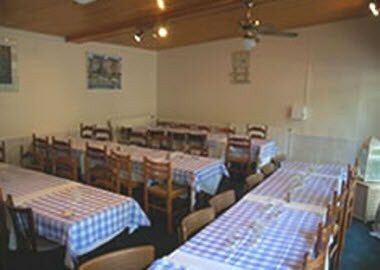 The three restaurant rooms have a total of 140 seats. The “Terrasse” restaurant room is surrounded by large windows making it a very bright area (48 seats). The light and airy salle “Marine” is suited for private parties. It can also welcome conferences (Boardroom, theatre, school or U-shape). 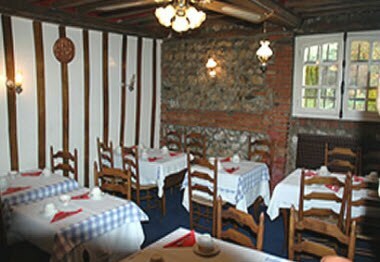 The Coin cheminée is a charming room dating back to 1715, with its original timbered ceiling, brick walls and an old fireplace (24 seats).